When will Nigeria get it right with refinery repairs? The Nigerian National Petroleum Corporation (NNPC) on Thursday formally commenced the first phase of the rehabilitation of the Port Harcourt refinery complex. This involves a detailed check and equipment inspection of the plant, beginning from the end of March, after which it will run for six months. The project will be executed by Milan-based Maire Tecnimont S.p.A, in collaboration with its Nigerian affiliate, Tecnimont Nigeria, a statement from NNPC Group General Manager, Group Public Affairs Division, Ndu Ughamadu said. Quoting Maikanti Baru, the Group Managing Director of the NNPC, Ughamadu revealed that the refinery complex should be able to reach 60 percent capacity utilization at the completion of the phase 1 repairs. While after the second phase, which entails a comprehensive revamp of the complex, the refinery will be restored to a minimum of 90 percent capacity utilization. The refinery complex, which has a capacity of 210,000 barrels per day (bpd), comprises the 60,000 bpd old refinery was built in 1965 and the 150,000 bpd, new refinery, commissioned in 1989. In 2017,Maikanti Baru announced that the planned repairs of the nation’s refineries would cost the corporation $1 billion dollars to make them operate at full capacity. The NNPC has four major refining plants including the two in Port Harcourt. These are the Kaduna Refining and Petrochemical Company Limited (KRPC) with an installed capacity of 110,000 bpsd and the Warri Refining and Petrochemical Company Limited (WRPC) with an installed capacity of 125,000 bpsd. The combined installed capacity of all the refineries stands at 445,000 barrels per day. But as of 2017, none of them worked up to 50 percent of their capacity at any time. A repeat of past mistakes? Coming 19 years after the last Turn Around Maintenance (TAM) exercise of the nation’s premier refining plant, this rehabilitation is seen as a boost to efforts geared at achieving local sufficiency in refined petroleum products. However, questions and criticisms abound concerning the rehabilitation of state-owned petroleum refineries in the country. Although the achievement of self-sufficiency in refining is an attractive feat, employing the same strategy that has failed miserably in the past is a step in the wrong direction. The sad tale of Nigeria’s public refineries is one of waste and inefficiency. After each repair project, the refineries only work for a short period and at low capacity before packing up. Billions of dollars have gone into several maintenance and rehabilitation projects of the state refineries under successive governments, with little to show for it. In 2012, the Goodluck Jonathan administration said it was taking a loan of $1.6 billion to carry out TAM on them. Plagued by corruption and controversy, the TAM failed badly and according to the Punch editorial, no account of the funds was provided. 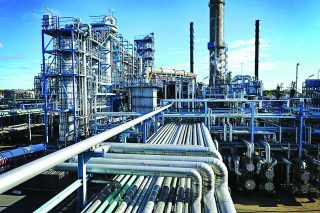 By July of the same year, the NNPC said that the refineries were barely producing at 25 percent of their installed capacity. More so, in March 2015, NNPC demanded $550 million for fresh refinery repairs. It claimed its in-house engineers would carry out the repairs cheaper than foreign contractors who demanded $1.6 billion for the same job and that the refineries would work at full capacity by 2016. Despite all of this ‘spending,’ Nigeria remains unable to refine for domestic consumption and still largely depends on subsidised imported petroleum products. And based on the failure of previous successive governments to achieve full capacity utilization, it is hard to predict if this would turn out any better.